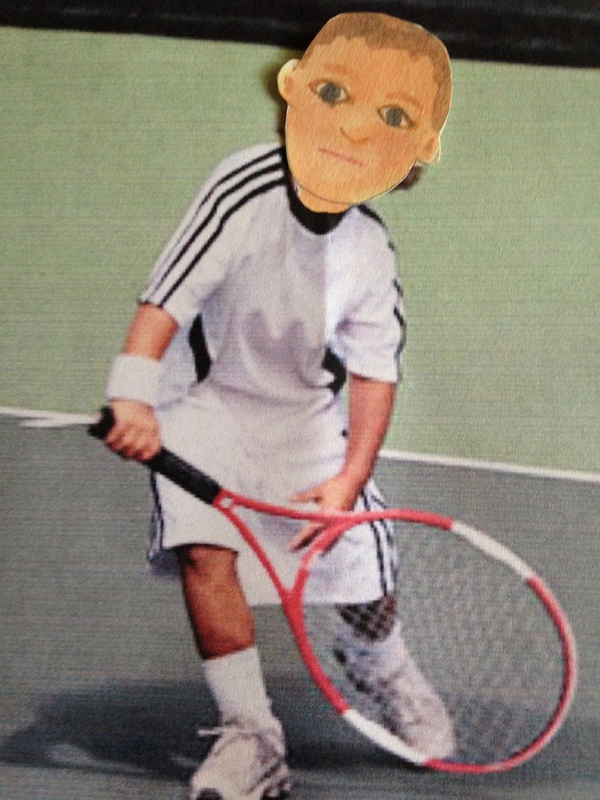 It is harder than you would think to find a tennis coach who will take on a toddler. Sure, Miss Gemma at Tiny Tot tennis at the Garden Avenue Park will toss a few balls across the net at them once as week, but Hummus is such naturally gifted athlete that he needed a slightly more intense program. I was so lucky to find Stanislaus Wrobninski. I am not sure where he is from, but he ran a tennis academy somewhere in Eastern Europe that trained many children. His program was very successful, but the government shut him down for being “too intense” or something. Anywho, he has a cute lil’ tennis program only 20 minutes away and he allowed Hummus to be his youngest student. Hummus just loves the program and spends 5 hours day there Monday Through Friday working with nutritionists, trainers and motivational specialists, along with a variety of tennis coaches. The second Hummus gets in the car after I pick him up, he falls fast asleep and often just sleeps right through to the next morning. It is adorable! Already his form is so much better. I am hoping that once Röbert sees his lil’ guy in a tournament, he won’t freak out too much about the expense. You need to spend it to make it, and I would love it if one of my angles and I could travel the world and go to classy places like Paris and Wimbledon. This entry was posted in My Perfect Family and tagged Hummus, Stanislaus, tennis on May 29, 2015 by mythreeangles. Go Hummus, I’m rooting for you, poor little guy. Poor little guy? We are spending a LOT of money to make sure he is one lucky lil’ tennis pro. Monday-Friday, how cute! I’m pretty sure Djokovic didn’t get to where he is now by taking weekends off, LOL! I don’t want Röbert to know about our little prodigy until the time is right. Then he can even start residential program at the academy with a more rigorous schedule.